The Italian designed yohannis the 1v museum gives a good over view of the sites and is points of interest for visitors in the region. Furniture’s and manuscripts of that date out from the emerror are housed here and it is the best point of view of the city. 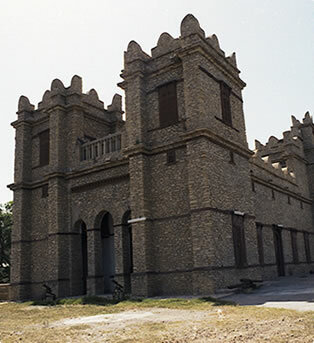 The capital of Emperor Yohanes IV (1871-1889), Makale is now the main city of Tigray, the most northern Ethiopian region. The Emperor’s palace has been turned into a particular interesting museum, with many exhibits of his time and subsequent history. The town is also well known as a transit point for the Camel Caravans bringing salt up from the arid lands of the Danakil Depression. This makes the market place an interesting sight to visit. Intrepid visitors can also make excursions into the Danakil to visit some of the Afar nomads that trek across the region.